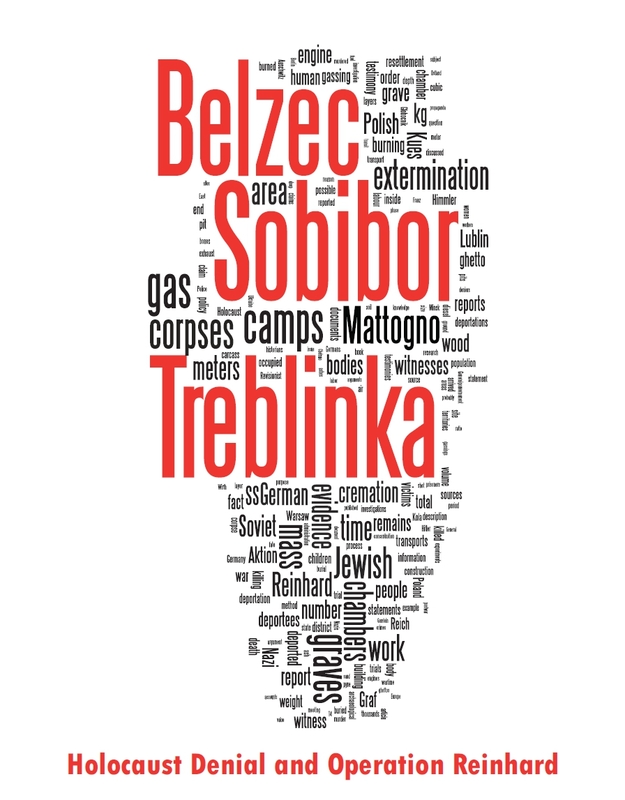 Some more from Roberto; Treblinka study by Krege. It seems that I have become the Cesspit's most bitched-about black beast, thanks to two particularly demented creatures pathetically obsessed with my humble person, "Drew J" and Greg Gerdes a.k.a. "Pepper". I must figure prominently in those sorry punks' nightmares, judging by the number of threads in which they go yelping "Muehlenkamp this, Muehlenkamp that" and by how they even attribute to me blogs written by Jonathan Harrison, such as this one. If Drew J and Gerdes are this hysterical already, what will become of them when they read my RODOH comments to some of their imbecilic mutterings? 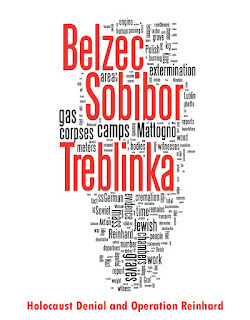 The "Famous THIRTY TREBLINKA QUESTIONS"
Further nonsense from Drew J and Gerdes (more from the former than the latter, who is capable of little other than repeating his cowardly "show me just one this and that" - yelping ad nauseam) will be dissected as time permits. In the meantime, it will be fun to watch the old chimp and his apprentice freaking out a little more. Cowardly liar Gerdes reacted as I thought he would. See my RODOH posts nos. 11495 and 11496. Drew J is still the moron who shoots himself in the foot, Gerdes still the bitching fish-wife without testicles. See my RODOH posts nos. 11503 and 11504. Kabbalistic ku-klux-klown Drew J increasingly insane, Gerdes as mendacious and gutless as ever. See my RODOH posts nos. 11507, 11508, 11510, 11511, 11512 and 11513. Same as yesterday, plus Gerdes freaking out over Drew J. See my RODOH posts nos. 11518, 11519 and 11520. See my RODOH posts nos. 11524, 11525 and 11530. Gerdes: See my posts nos. 11546, 11547, 11549, 11556, 11557 and 11574. "Drew J": See my posts nos. 11573 and 11580. Muehlenkamp, porque é que você não abre sozinho um blog em português? É que, embora eu perceba perfeitamente inglês, tenho alguma dificuldade em manter um diálogo nessa língua. Roberto, escrevendo em português mas depois você apaga, dá uma olhada com pressa na tua conta de e-mail e verifica a senha, se possível troque a senha. >Roberto, escrevendo em português >mas depois você apaga, dá uma >olhada com pressa na tua conta de >e-mail e verifica a senha, se >possível troque a senha. Está tratado, não se preocupe. Obrigado pelo aviso!